30 Days to Clarity Detangle Your World. Fall in Love with Your Life. Are you ready to finally know what you want out of life? Discover the unique path to your own heart and soul. Is your schedule full but unfulfilling? Have you drowned out your inner voice with mindless and meaningless activities? If so, then you may have fallen victim to brain clutter — the noise and outside forces we let override our own instincts and desires. Expert life coach Debra Smouse has worked with countless people to help them sculpt meaningful lives, and now she’s here to help you do the same. With a collection of 30 intriguing exercises, Clearing Brain Clutter helps you to peel away everything that gets in the way of your truest, deepest desires. By doing the work right inside the book, you’ll learn to create a life that’s more resonant with “the real you” than anything you’ve previously experienced. In short, you’ll forever change your life for the better. How to internalize a healthier view on fear, and much, much more! By taking 30 days to dive into your heart’s desires, you can learn how to overcome your highly-stressed life to connect to your deepest wants and needs. Clearing Brain Clutter is perfect for people who truly want to reclaim their lives for purpose and passion. 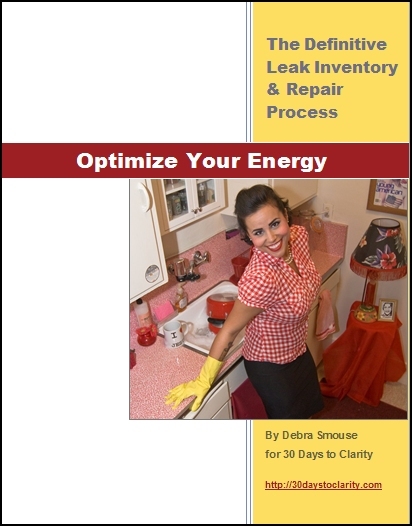 If you like actionable advice, effective workbooks, and crystal-clear guidance on what’s holding you back, then you’ll love Debra Smouse’s newest book. 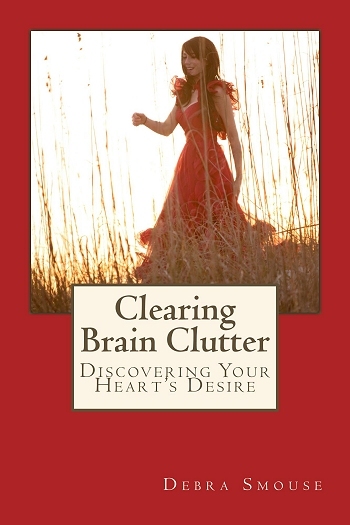 Buy Clearing Brain Clutter today and take the first step toward living the life you want! How does 30 Days to Clarity: Clearing Brain Clutter – Discovering Your Heart’s Desire Vision work? Upon purchase, you’ll get the choice of a printable PDF or Fill-in-the-Blanks Digital PDF Workbook. Each lesson is designed to take you less than thirty-minutes or less each day. With the new workbook format, you can move on to the next lesson if you’re ready…or linger over a lesson to ponder it. Along with the mind-clearing lessons and thought provoking writing prompts, there are also dozens of worksheets and writing prompts to take you from cobwebs in your brain to a clear thinking and the ability to listen to the small, still voice of your heart. No more waiting for the course to begin or that next email. You can begin at any time. Available on Amazon in Paperback and Kindle . Also available from Barnes & Noble in Paperback. Or purchase a signed copy below. © 2019 30 Days to Clarity. All Rights Reserved.